Ideally, you’ll have tests that cover every part of the code. For some projects, it’s pretty easy to tell when this is the case. But if you find yourself writing tests for a complex piece of code that didn’t have many (or any) tests beforehand, as I did recently, then it can be good to know exactly how much of the code is being tested, and which bits still need to be exercised through tests. This is where a code coverage tool comes in. Make sure you do this after the reference to QUnit, as it requires some things that are defined by QUnit. If your test page gets served up by a web server then you’re good to go. If you load it directly from a file, as I often do, then you’ll run into the issue that browser security policies prevent it from accessing local files. Blanket needs to load the contents of local files so that it can show you which lines of code have not been covered by the tests. In Chrome you can get around this by starting it with the option “–allow-file-access-from-files”. 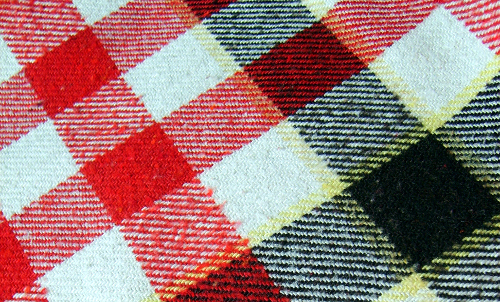 I set up a shortcut for this on my desktop so I can run blanket-covered tests more easily. Once all that is done, you can load the test page in your browser and view the results. 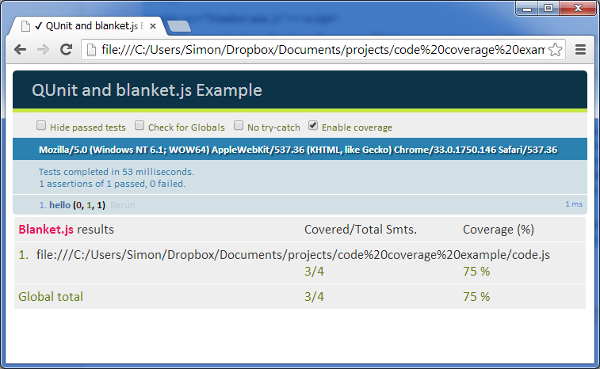 You’ll notice that an “Enable coverage” checkbox has appeared at the top, next to the other checkboxes that QUnit displays. 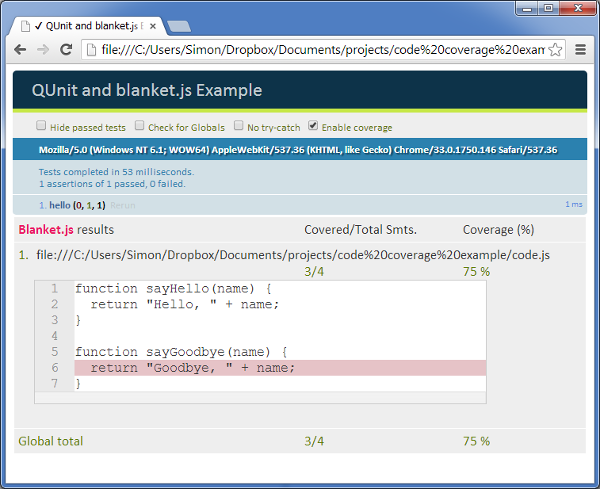 Checking this will display a code coverage panel showing you the files and how much of the code was covered. Clicking on a file name displays the source, with lines of code that weren’t executed highlighted. Now you can figure out what additional tests you need to write to ensure that all of the code is executed by the tests. In this case it shows that my sayGoodbye function isn’t being executed, so I clearly need to write a test that calls this.